Movie Review - ' The Reluctant Fundamentalist' - An Enigmatic, Insistent Thriller Mira Nair's powerful, restrained adaptation of the best-selling novel arrives amid intense public debate about the alienation of immigrants in America. Coming as it does amid intense public debate about the alienation of immigrants in America, the release of Mira Nair's The Reluctant Fundamentalist is both timely and slightly eerie. The movie, based on a well-received novel by Mohsin Hamid, charts the political and spiritual journey of Changez, a driven young Pakistani who arrives in New York determined to succeed, American-style. As new immigrants go, Changez — played by charismatic British actor-rapper Riz Ahmed, who has liquid black eyes and a soulful stare that gets right under your skin — is unusually privileged. First comes Princeton, then a ritzy job as a business analyst under the mentorship of a tough boss (Kiefer Sutherland, middle-aged at last), and an arty, pale-skinned girlfriend fetchingly played by Kate Hudson. Changez, in short, seems to have it made. His work assessing the profitability of small companies around the world — and ruthlessly downsizing or toppling them if they're not — troubles him not one iota. That is, until Sept. 11 comes, bringing in its wake a surge in American patriotism and a jittery hypersensitivity about dark-skinned faces that offers Changez his own private education in arbitrary injustice. A beard appears on his Christlike face, and when next we see him he's delivering firebrand speeches against foreign invaders at a Lahore university. In America, Changez is mentored by a hard-charging boss (Kiefer Sutherland) at a high-profile business analytics firm. This may not add up to quite what you think, though. With the kidnapping of an American professor in the opening scene in Lahore, The Reluctant Fundamentalist positions itself as a thriller. Yet it's framed as a teahouse conversation between Changez and Bobby (Liev Schreiber), an American journalist with his own conflicts of loyalty and belief. As a student protest against a repressive Pakistani government gathers steam around the two men, heavily monitored by the CIA, it's Bobby who must listen to Changez's story — all of it, the young Pakistani insists. With author Hamid's help, Nair and her co-screenwriter, William Wheeler, have ironed out some crucial ambiguities in the novel's account of the uneasy relationship between the two men. In the book, the identities of both remain tantalizingly undefined; in the movie we learn early on that Bobby is an ambivalent CIA operative, torn between his sympathy for the protest movement and his growing conviction that the United States has a role to play in the war-torn region. The changes work fine for dramatic purposes, and Nair adroitly manages the tension between talk and action. Darting back and forth in time and place, between Lahore and New York (Atlanta, actually, but you'd never know) she unfolds a tale of a man trying to find home in two key global cities, each with a vibrant culture of its own. Nair likes to have fun even when her material is somber, and for this movie she deploys a rich palette and a multi-culti but mostly kitsch-free score that fuses old and new with a lovely Sufi devotional piece, and is peppered with Pakistani pop. She indulges her sensual side with a wedding, as well as a cheeky turn by Pakistani singer Meesha Shafi as Changez's America-obsessed sister. Who is Changez? "I am a lover of America," he tells Bobby as he begins and ends his story. Yet he also loves his birthplace with equal fervor and critical scrutiny, and suggests the two countries have more in common than meets the eye. The word "fundamental" pops up just twice, once from the mouth of Changez's go-for-broke capitalist boss, and again from a newly radicalized Changez. Like Hamid, Nair sees more hope than threat in the fractured identities that increasingly dominate our fluid world. But she won't go all the way with him to disturb our media-fed pieties. When Changez recounts his immediate response on seeing the planes plow into the World Trade Center, Bobby is shocked. I was too. Yet in context, this is less an assertion of malice or callousness than a surge of reflexive anger toward a nation that has rewarded his efforts to become a model citizen with only the most contingent acceptance. 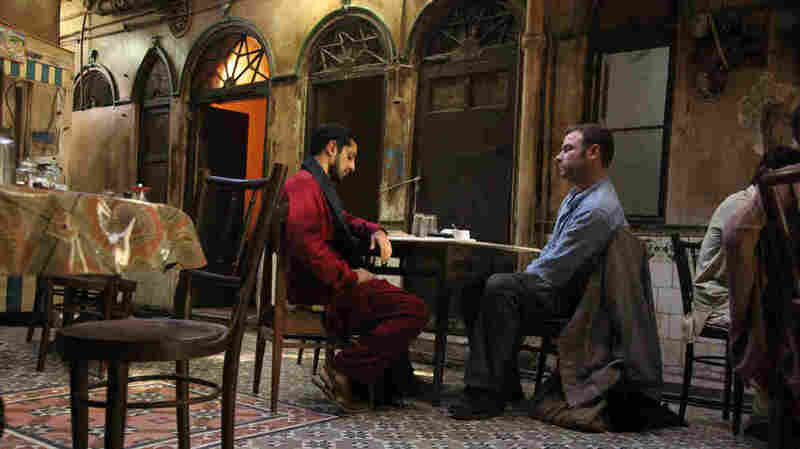 Attention must be paid — so it's a pity that at the end, in a departure from Hamid's enigmatic restraint, The Reluctant Fundamentalist collapses in a heap of wool-gathering humanism that feels warm to the touch, yet fatally hedges its political bets.